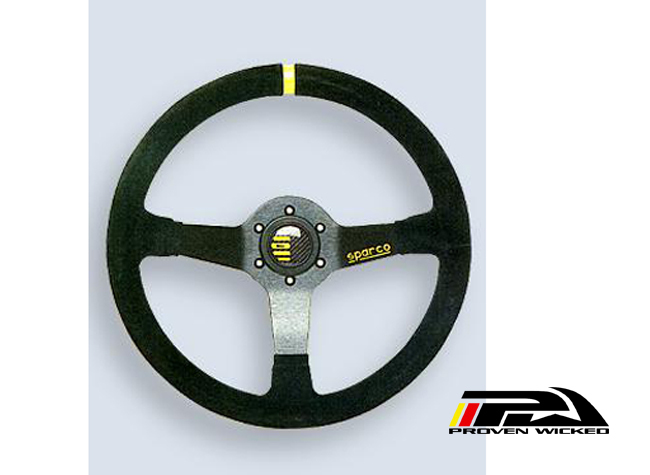 Competition steering wheel. Perfect size for the 2010+ Camaro at 350mm diameter with a 63mm dish. 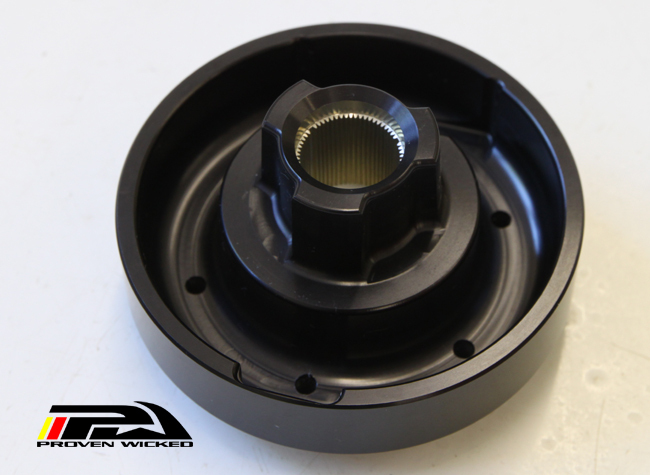 Use with our steering hub adapter and optional quick release hub for the full competition setup. Camaro and Corvette are registered trademarks of GM. Mustang is a registered trademark of Ford Motor Company. Challenger is a registered trademark of Dodge. Proven Wicked has no affiliation with GM, the Ford Motor Company or Dodge. Throughout our website these terms are used for identification purposes only.